About Us | San Diego Tile Installation | Quality Tile & Marble Installation | R & R Tile & Marble Inc. I established R & R Tile & Marble Inc. in 1993. Over the years, we have worked all over San Diego County, as well as in Northern California. We have done projects of all sizes, private and commercial. As a contractor, I believe in keeping a clean workspace, so my clients can live as comfortably as possible in their homes during a project. I also believe in personally managing all aspects of a project, including those I am not personally doing, so my clients can be confident their projects will be completed professionally from start to finish. 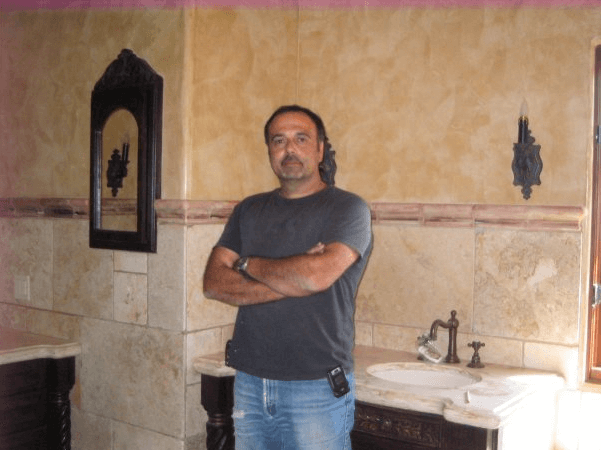 We specialize in bathroom remodels and shower conversions, custom quality designs, all types of flooring, including tile and natural stone, and more. I am licensed, bonded, and insured.